Path Finder is similar to the Finder, but it also puts an Aqua user interface on many powerful Unix tools for operating on files. Path Finder also has a well-designed user interface for viewing and navigating your hard disks. Access frequently-used folders and files: The Shelf gives you quick and easy access to applications, files, and folders. New! 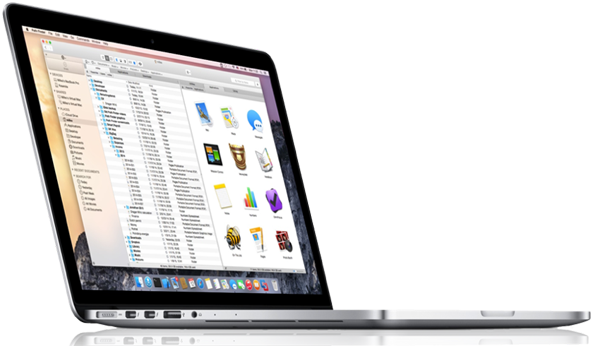 Fast File Search: Utilizing new Mac OS X searching technology, Path Finder 3 helps you find your files faster and more effectively than before. New! Simple File Sharing and Networking: Path Finder 3.2.1 now has a completely brand new and improved Connect to Server feature, which makes connecting to remote servers and computers a snap. “Pause” drag-and-drop operations: Drag some files or folders to the Drop Stack, and drag them out when you need them. Process and Volumes drawer: View currently running applications and mounted volumes in a convenient file browser drawer. Improved! Reports: Generate information*filled reports detailing all kinds of esoteric information about your files, directories, fonts, and system. Navigate through file paths quickly: the Path Navigator allows you to “jump up” folder levels in your hard drive quickly. Endless customization: Want brushed metal? Want aqua? Sick of Lucida Grande? Want green text on black for your file listings? Path Finder is completely customizable in ways that other file browsers can only dream of.